MSC Divina is home to a variety of sports, leisure facilities and world-class entertainment, including Kids and Teen Clubs to ensure that everyone makes the most of their time onboard. Inspired by Sophia Loren, the ship is stylish, luxurious and elegant, bringing you all the glitz and glamour of the golden age of cruise. 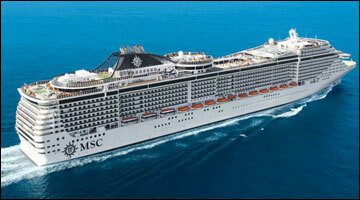 MSC Divina boasts a real stone piazza, a Casino Veneziano and Broadway-style Pantheon Theatre. From the elegant Swarovski crystal staircases to the breathtaking Infinity Pool at the back of the ship, the ship is undeniably glamorous. 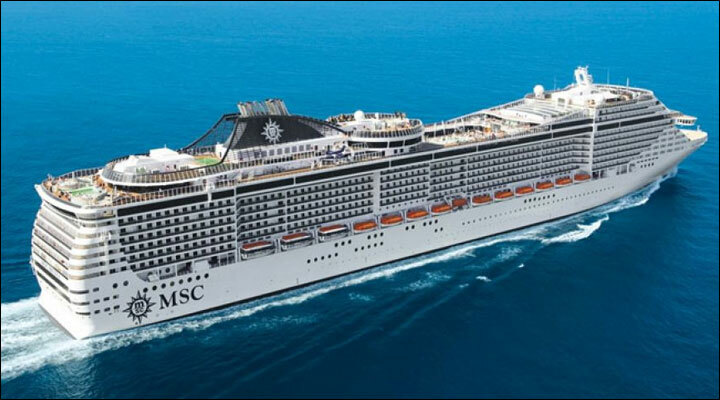 Discover the exclusive ship-within-a-ship onboard MSC Divina that is MSC Yacht Club with its 24-hour Butler service and Concierge. There is even a Sophia Loren Royal Suite on deck 16, designed with the help of the screen siren herself. The suite includes stunning photographs of Ms Loren’s most memorable roles and even a replica of her dressing table so that guests can prepare themselves in style. A wealth of wellness treatments await in the relaxing atmosphere of the MSC Aurea Spa. Or ,why not relax outside on the sun-drenched, adult-only Top 18 sun-deck with stunning sea views, a dedicated spa service and a bar menu with complimentary fruit skewers.